In October of 2017, the National Association of Insurance Commissioners (NAIC) adopted the Data Security Model Law (Model Law) that requires insurers and other entities licensed by state insurance departments to develop, implement, and maintain an information security program. The model law closely resembles the New York Department of Financial Services (NY DFS) cybersecurity regulation that was enacted on March 1, 2017. It requires the investigation of any cybersecurity events, and to notify the state insurance commissioners of such events. States are working to introduce and pass legislation now, and it appears that the U.S. Treasure Department will mandate the Model Law, if the States do not adopt it within five years. So, in summary, it’s not a matter of if, but when, insurers and individuals licensed by their respective states will have to implement processes and procedures to 1) have third party certification and 2) also maintain some level of cybersecurity liability coverage. InfoSafe® Certification Program - This industry leading compliance management system makes it easy and affordable for agencies and independent professionals to implement and maintain virtually all federal, state and industry data security requirements. 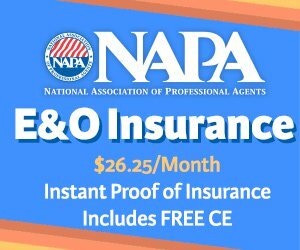 NAPA members save up to 33%! Cyber Liability Insurance - Protect your business against the high financial costs associated with a data breach including, legal counsel, credit notification, monitoring services, regulatory fines, forensic investigators and more. Coverage starts at just $199/year.